In the midst of our daily routine we must take some time to prepare for the celebration of the Eucharist on Sunday. The Sunday readings are rich and vibrant. The first reading, from the First Book of Samuel prepares us for the Gospel by contrasting how we see with how God sees. As he writes to the Ephesians, St. Paul treats of that light that produces every kind of goodness and truth, the light without which we are left in the darkness of our sin. So the man goes and washes ... and comes back able to see. The dirt-and-spit opens his eyes, and he proceeds to testify that it was Jesus who gave him his vision. Standing before the Pharisees, he says, "He put mud on my eyes. Then I washed, and now I see .... He is a prophet." When they counter that Jesus is a sinner, the man says, "I do not know whether he is a sinner. One thing I do know, that though I was blind, now I see." And the man asks the Pharisees mockingly, "Do you also want to become his disciples?" He might as well say to these religious leaders: "Here's mud in your eye!" Finally, face to face with the one who healed him, the man discovers that Jesus is none other than the Son of Man. "Lord, I believe," he says, and he worships him. It is important to note that his healing comes BEFORE this statement of faith. The man does not believe in Jesus prior to his touch; the man receives the touch and then believes. The mudpack inspires the man to trust that he will be healed. Does this sound crazy? Don't assume that dirt and spit had nothing to do with the healing of the blind man. At the very least, it helped to focus his faith. - Rev. Joseph H. Lackner, S.M. Have we seen Him - or have we missed Him? How many times did He come to offer us just what we needed? Even if we ourselves have been denying our need for what the Lord has to offer us. How many times has Jesus gently probed our deepest wounds, our sins? Not to judge or condemn us, but to heal and forgive us. who often comes to us in times, in places, in ways we least expect. to give us food and drink that truly satisfy and nourish and nurture us. And He can tell you and He can tell me everything we’ve ever done. Click on the image above for more articles about Lent. You see? Abstinence from meat is more than just “going without” during Lent or just a reminder that Christ offered His flesh for us on the cross. Abstinence is a form of prayer, a discipline. When we abstain from meat, we focus on Christ and on our souls, rather than on self and on our bodies. It is faith in action, placing our attention on Jesus and offering Him “our flesh” as a sacrifice (Romans 12:1-2), a vessel through which He can and does work. It is always good to prepare for Sunday worship by praying and pondering this weekend's scriptures so that you might hear them more fully when they're proclaimed at Mass. 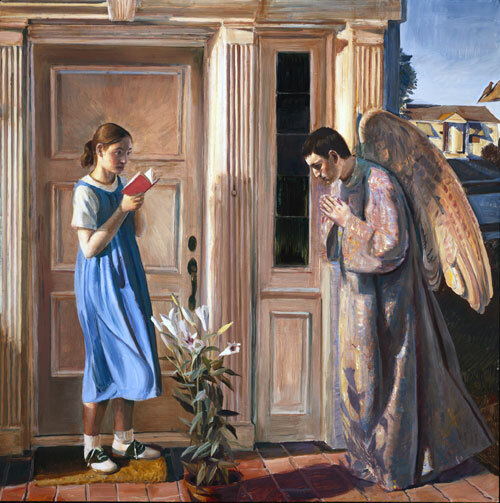 John Collier's Annunciation is set in suburbia, but the symbolism is quite traditional. Mary is reading from Isaiah about the Virgin who conceives and bears a son. The lily represents her purity, and she is welcoming St. Gabriel. He who is true God was therefore born in the complete and perfect nature of a true man, whole in his own nature, whole in ours. By our nature we mean what the Creator had fashioned in us from the beginning, and took to himself in order to restore it.For in the Saviour there was no trace of what the deceiver introduced and man, being misled, allowed to enter. 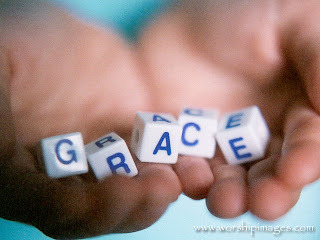 It does not follow that because he submitted to sharing in our human weakness he therefore shared in our sins. A modern day monologue version of the what the Woman at the well said to Jesus. This story can be found in John 4:3-30. Last night the Marianists hosted over thirty young men discerning their call to the religious life. Following evening prayer in the Chapel, Brother Roger led us from his family home in Westbury, Long Island to his solemn profession of chastity, poverty, obedience and stability. All vocational calls take different routes and Brother Roger's vocational path was a response to the constant call of Christ, "Come, follow me." The discernment process can be a very anxious time, a time of great confusion and fear. But it can also be a time of great excitement, a time when one discovers the richness and diversity of the Catholic Church, when one learns really to trust in God's love and let go of the things that prevent us from being what He wants us to be. Please pray for those young men discerning their vocation to the Marianist. Tonight the Marianists in the Chaminade-Mineola Community will host our Spring Operation Fiat. Over thirty young men will gather to pray evening prayer and explore the possibility of a Marianist religious vocation. What a courageous act to enter into prayer and discussion to discern whether God is calling you to embrace religious life. May God continue to shower His graces on all tonight.. 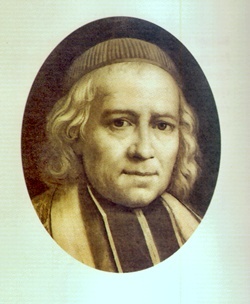 In his letter to preachers of retreats (August 24, 1839) our Blessed founder, Father William Joseph Chaminade spoke of those qualities which "distinguish the Society of Mary and the Institute of the Daughters of Mary from the other religious orders:"
"...it is certainly the distinguishing character and family trait of both our Societies: we are in a special manner the auxiliaries and the instruments of the Blessed Virgin in the great work of reforming morals, of preserving and propagating the Faith, and by the fact, of sanctifying our neighbor. She communicates to us her own zeal and entrusts to us the projects which are inspired by her almost infinite charity, and we make a vow to serve her faithfully till the end of our life, to carry out punctually all that she tells us. We are glad that we can thus spend in her service the life and stregnth that we have pledged to her. We are moreover so entirely convinced that this is the most perfect thing for us to do..."
Here is a beautiful way to begin the day. A legion of classical artists took a "We Are The World" approach to "The Prayer." Been so busy this week that I almost completely forgot to post the scriptures for this weekend! This coming weekend brings us to the Second Sunday of Lent! There's no better way to prepare for Sunday worship than by becoming familiar, ahead of time, with the scriptures you'll hear proclaimed. Prepare, Ponder and Pray the Scriptures. How about adopting this as a Lenten exercise? Being a hero in God’s eyes is about being a hero to others. What we often miss in the transfiguration is that the Beloved is extending love to those whom he sends out to love the world. Perhaps he’s calling out to the hero in each of them — the desire for lowly fishermen and tax collectors to become something greater. Men on a love mission from God himself. Living lives of greatness for the purpose of loving others, not for the sake of being loved by the masses. What has changed today? Don’t regular people want to know they are loved by their Father? Don’t they want to know how pleased he is with them? Don’t they need to be freed by love in order to love? God has always engaged people this way — from Abraham on, the people of God are blessed to be a blessing. Hot Off The Press: Released from Pope Benedict XVI in anticipation of World Day of Prayer for Vocations, Fourth Sunday of Easter, 2011: "Vocations to the ministerial priesthood and to the consecrated life are first and foremost the fruit of constant contact with the living God and insistent prayer lifted up to the ‘Lord of the harvest’, whether in parish communities, in Christian families or in groups specifically devoted to prayer for vocations. At the beginning of His public life, the Lord called some fishermen on the shore of the Sea of Galilee: ‘Follow me and I will make you fishers of men’. … It is a challenging and uplifting invitation that Jesus addresses to those to Whom He says: ‘Follow me!’. He invites them to become His friends, to listen attentively to His word and to live with Him. He teaches them complete commitment to God and to the extension of His kingdom in accordance with the law of the Gospel. … He invites them to leave behind their own narrow agenda and their notions of self-fulfilment in order to immerse themselves in another will, the will of God, and to be guided by it. He gives them an experience of fraternity, one born of that total openness to God which becomes the hallmark of the community of Jesus”. On Tuesday, March 22nd the Marianists of the Province of Meribah will be hosting an evening for young men interested in exploring the Marianist life. The evening will begin at 6:00 p.m. in the Chapel of Our Lady's Assumption in the Chaminade-Mineola Community with Sung Evening Prayer. You might consider buying a St Joseph's home sale kit if you are selling your house. The kit contains a little statue of St Joseph which you are supposed to bury at the property you are trying to sell. It's easy to be cynical about such a practice - there's certainly a danger it could lead to the belief that it's possible to twist God's arm through St Joseph's intercession. But on the other hand, we shouldn't be too dismissive. We all need signs of God's loving providence - it may be through the prayers of St Joseph that we receive such signs, and it seems particularly appropriate that this should be the case. St Joseph was a central figure in the early life of Christ. Although he wasn't Jesus' biological father, it is clear from the New Testament that the relationship of St Joseph to Jesus was that of true fatherhood. The angel commands St Joseph to name Jesus, and it is through St Joseph's genealogy that Jesus is called Son of David. St Joseph's willingness to cooperate with God's divine plan and marry the Blessed Virgin Mary meant that the child Jesus was able to grow up in a loving and secure family environment. The home should be a place of love and security, and if we invite St Joseph in, it will also be a place where our life with Christ will grow and flourish. I must admit, this past week I have been especially conscious of the frailty of flesh and of our mortality. The many people who have died recently is a vivid reminder of the limits of human control over our own life span and how we shall be called to spend it. The way our days are apportioned on this earth is less predictable and secure than we like to think. Today I am pleased to share with you a gentle Celtic prayer: “May the Blessing of Light Be Upon You.” This prayer is also well known. It also acknowledges mortality, but does it so I feel consoled as I read it, and I would like to share that sense of consolation with you. May you have light outside you, and light within you. may come and warm themselves at it. welcoming the wanderer in out of the storm. All: May the blessing of the light be upon us! Amen! All: May the blessing of the rain be upon us! Amen! All: May the blessing of the earth be upon us! Amen! 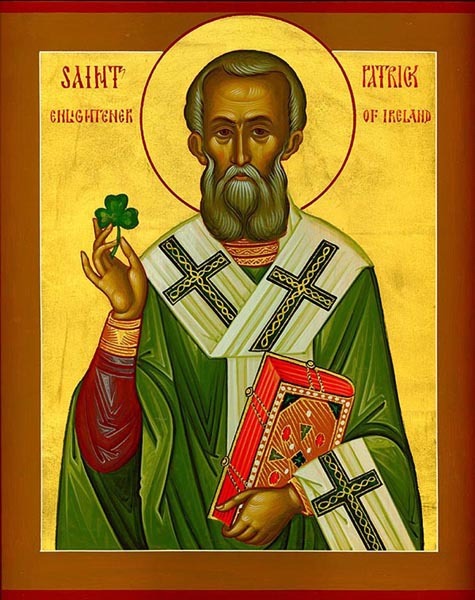 Happy St. Patrick's Day to all our readers! The prayer of the Lorica (breastplate)is attributed to St. Patrick. It's a powerful text and makes for a wonderful morning prayer. "Imagine a man whose business hounds him through many streets and across the marketplace the livelong day. He almost forgets there is a Maker of the world. God holds him dear, very dear, and his prayer pierces the firmament. ﻿﻿﻿﻿The Province of Meribah welcomes two members of the General Administration of the Society of Mary this week. Bro. José María Alvira (general assistant for education) and Fr. André Fétis (general assistant for religious life) will visit all the apostolic works of the Province of Meribah and share in the life and prayer of the Marianist Communities. The two members of the General Administration will have the opportunity to meet those who share in the Marianist family. Faculty, parents, students and the many co-workers will join together later this week with the General Administration. The Office of Religious Life cares for the spiritual development of the emembers and works. ; the Office of Education is concerned with intellectual, moral, and professional formation. Most of the major details concerning the major earthquake and the tsunamis that struck Japan on Friday, March 11, and now the serious situation with the nuclear power plant and reactor in Fukushima, Japan are already known around the world through news reports. As for the Marianist Family in Japan, I can report that the members of the Society of Mary and the Daughters of Mary Immaculate are OK. None of our communities or works is in the area of Japan most affected by that earthquake and the resulting tsunamis. Our communities and works in the Greater Tokyo area "felt," to say the least, the Friday earthquake (and the frequent aftershocks since then) but there have been no reports to the SM Regional Administration of any injuries or major damage. There have been no reports to the Regional Administration of injuries to members of the MLC either. There are no MLC groups in the Sendai area itself or that general area of northeast Japan. Our new AM member is OK, I believe. We are not sure of the situation of relatives of members of the FMI or of MLC members who might be living in that part of Japan. Although the communication situation (phones, cellphones, etc.) has been resolved in the Greater Tokyo area itself, communication problems with the northeastern part of Japan have not been resolved. 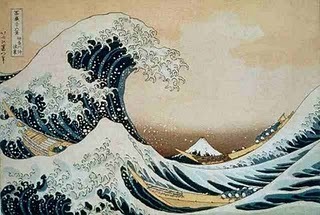 As news reports indicate, over 1000 individuals have died and over 10,000 people are still missing or unaccounted for so the death count will probably go much higher – whole towns and villages and hamlets were wiped away by the tsunami. Many groups of people are still cut off by the waters left by the tsunamis. Some 370,000 people have been evacuated from the areas most affected. The tsunami alert has been lifted, but the experts says that there could be another strong earthquake ( 7 + ) in the next two to three days. The Bishops of Japan have asked that contributions for the victims from Catholics here in Japan be directed to Caritas Japan; we would suggest that individuals or groups in other parts of the Marianist world wishing to contribute might do so through Catholic Charities, or other such organizations, in their own countries and areas. 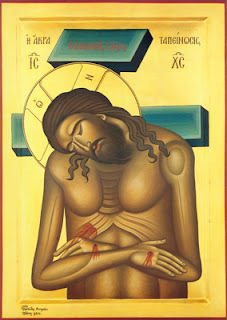 Lent is a time for re-orienting and refocussing our lives on the Paschal Mystery of Christ’s death and resurrection, which we prepare to celebrate at the culmination of this season. We do this through our penitential practices which, through our “giving something up for Lent”, remind us of how easily our lives can become unbalanced, giving too much attention, for example, to eating or watching television or whatever it may be. As we recognise our failings, the Church in our Lenten readings points us towards the solution: we must return to the Lord, who alone can save us, and who only asks that we turn to him, and he will heal our disloyalty. The Province of Meribah, recommends to our fraternal prayers our dear brother, RICHARD HUGHES, of the Kellenberg Memorial Marianist Community (Uniondale), who died in the service of the Blessed Virgin Mary on March 7, 2011 in Uniondale, New York, USA, at the age of 53 with 33 years of religious profession. Richard was born on March 14, 1957, to Richard and Doris (Reinhardt) Hughes. He grew up in Floral Park on the eastern edge of New York City with his sisters Kathleen and Theresa and his brothers Edward and Philip. Richard attended the parish school at Our Lady of the Snows in Glen Oaks, NY. His many years as a Boy Scout sparked Richard’s interest in rocks, minerals and the earth sciences; a passion that continued throughout the rest of his life. Richard joined the Society of Mary immediately after his graduation from Chaminade in June, 1975. Bro. Richard was one of the first novices of the Meribah Province and professed his first vows on January 8, 1978. He pursued his academic and professional studies at St. John’s University (BS 1979) and Adelphi University (MS 1982). Brother Richard began his many decades as a Marianist educator in September of 1979. Over the years, he proved his skill and versatility as a teacher of earth science, physics, mathematics and religion. He taught at Chaminade (Mineola) until 1987. In March of 1987, Richard was chosen as one of the pioneers of a new Marianist school, Kellenberg Memorial High School, named in honor of the first bishop of Rockville Centre, Most Rev. Walter P. Kellenberg. This was to become his life’s work and his heartfelt passion. Richard immersed himself in every detail of the new school, serving as the first director of the Marianist community and the first Dean of Students of the new school. 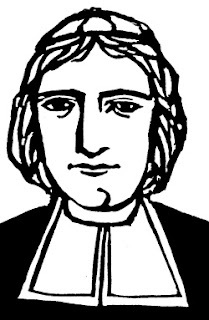 Much more of a “Martha” than a “Mary” in temperament, Richard thrived on the endless tasks and even the frequent turmoil of establishing a new school. He loved working with the young men and women of Kellenberg Memorial, particularly on service projects and retreats. Perhaps inspired by the Saturdays he remembered from his youth, Richard’s ideal weekend consisted of working with a group of students on the endless renovation of Kellenberg’s grounds and facility all morning, then marshalling the boys of his Service Club to set up and serve dinner to several hundred guests in the cafeteria in the evening. After washing all the dishes, Richard would load another group into one of the school vans and head off on the three-hour drive to Founder’s Hollow for a retreat beginning on Sunday morning. Founder’s Hollow, the Marianist Residence and Retreat House located in the foothills of the Catskill Mountains, is Richard’s most enduring legacy to the Province. He investigated dozens of properties in pursuit of his dream of finding the ideal rural retreat where both the Brothers and students of the Province schools could enjoy the beauty of nature and the fellowship of community. Founder’s Hollow, established just weeks after the beatification of Fr. Chaminade in September, 2000 is a monument to Richard’s determination, devotion and dedication. Although he enjoyed his school activities, Richard was also devoted to community life. As a novice he wrote: I can easily say that I feel readily at home with the Brothers of the community and that I enjoy being with them in times of work and in times of relaxation. The feeling of comfort and belonging which I experience in the community is a source of the confidence and enthusiasm with which I desire to profess my vows as a Marianist.” Richard found joy in serving his Brothers throughout his religious life. He was always ready to provide a small memento to mark a birthday or anniversary. Richard was available to drive a fellow Brother anywhere he needed to go; one Brother once joked that if someone suggested a road trip to California, Richard would have the car pulled up in the driveway ten minutes later exclaiming, “Let’s get on the road!” Travel arrangements were Richard’s forte. When he booked a trip, you would receive a small portfolio with seat assignments, boarding passes, ground transportation arrangements and hotel reservations. If he had been to the place you were visiting you would have restaurant suggestions, and foreign travellers always received an envelope of foreign currency. Richard’s long struggle with cancer showed his Brothers how to make life’s most important journey with patience and dignity. Richard’s unfailing good cheer and positive spirit during his almost five-year ordeal offer an inspiration and a challenge to look beyond the petty annoyances that can so preoccupy us. Even in the intense suffering of his final weeks, he never complained of pain. Shortly after 10 pm on March 7th, he opened his eyes and the pain disappeared from his face, replaced by a beautiful smile as he glimpsed the beatific vision. He died surrounded by his Brothers and his family one week before his 54th birthday. 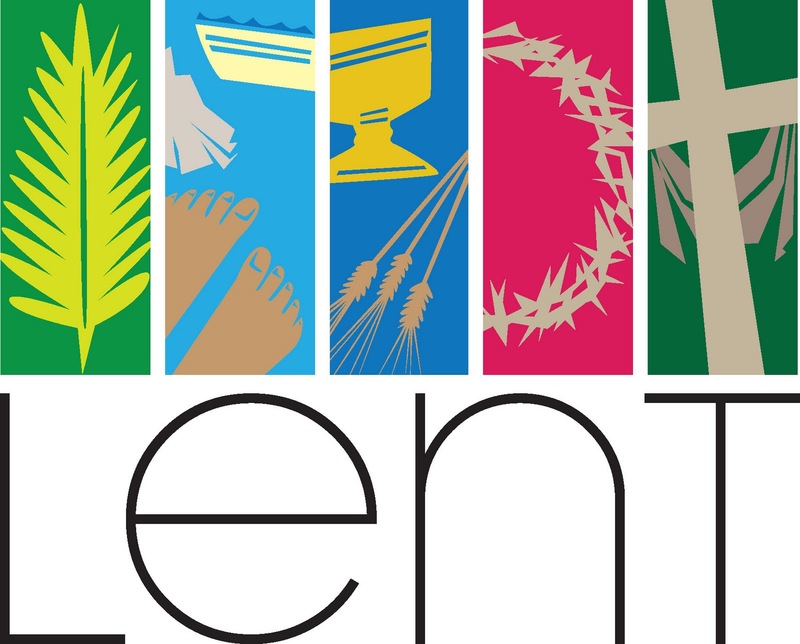 Lent invites us once again to slack off a bit. Give up something and take on something. Shake it up a bit and stir up the spiritual life a little by taking a step back. While we might view Lent as a sure plan for a failed New Year's Resolution, the Scriptures for Sunday view Christ setting out into the desert for a different plan. He took off for the hills above Jericho, to a stony, desolate place where he accepted the spiritual discipline of fasting for 40 days and 40 nights all alone. Well, almost alone. 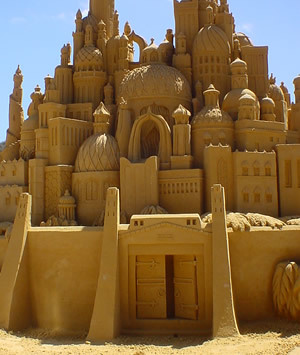 For Jesus, the desert temptation meant flirting with more than illusions of grandeur. And if Jesus did not think of these enticements himself, a tempter was on hand to remind him. And it turned into a war with hunger, wild beasts and the devil himself. We are reminded that Lent is a season when we might reflect on making room for the most important things. The truth we discover, as we unplug and unwind, lies in the fact that the Spirit continues to lead human beings to a place of spiritual rest so that we might prepare for what lies ahead. Tethered only to God, we realize what truly nourishes and feeds us in lonely places. 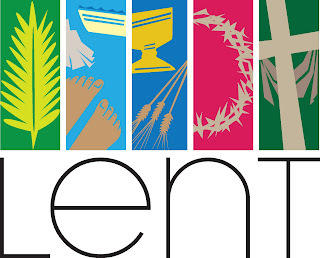 "Lent: A Call to Fast and Feast:"
Fast from emphasis on differences; feast on the oneness of all. Fast from the darkness around us; feast on the light of JESUS within us. Fast from thoughts or illness; feast on the healing power of GOD. Fast from actions that pollute; feast on deeds that purify. Fast from pessimism; feast on hope. Fast from guilt; feast on freedom. Fast from complaining; feast on complementing. Fast from stress; feast on self-care. Fast from selfishness; feast on compassion for others. Fast from apathy; feast on enthusiasm. Fast from idle gossiping, feast on spreading the good news. Fast from being so busy; feast on peaceful silence. Fast from being in control; feast on letting go. "So they took Jesus; and carrying the cross by himself, he went out to what is called The Place of the Skull, which in Hebrew is Golgotha" (John 19:16-17). All of us know life presents us with many problems. Life gives us many difficulties and sufferings which are often very hard to bear. These crosses come in many ways: death, misfortune, poverty, illness. Sometimes the suffering comes from our own sinfulness and having to face the fact that we have made mistakes and need to seek forgiveness from God and others. 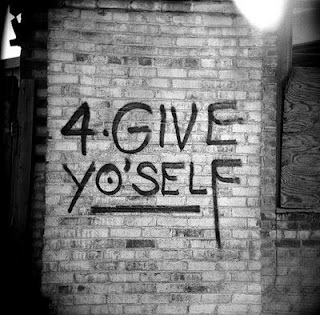 This letting go of our selfish selves is not easy and can often involve painful self awareness. Sometimes the cross can come in the form of people who hurt us and whom we find difficult to get on with. Often too suffering comes when someone stands up for the right and faces rejection and derision. The cross will come in many ways for all of us. Christ’s attitude to the cross is different. He embraces it not because he wants suffering and pain but because through his supreme act of loving sacrifice he will give everything to the Father and ultimately will find resurrection and eternal life. The Christian, in bearing the crosses of life with hope, knows that their real treasure is not in the passing wealth or health of this life but is bound up in the life giving promise of Jesus. It is finding in our helplessness and emptiness that it is the power of God working in us that will truly sustain us and ultimately bring us to eternal joy with him. “Father, if you are willing remove this cup from me; yet not my will but yours be done” (Luke 22:42). who passed away this evening at 10:20 p.m. after a long battle with cancer. Where's God in my life? Which path is God asking me to walk? Is God on the journey with me? Am I on the journey with God? Do God and I have the same destination? If I'm lost, will God find me? Will God show me the way to peace? Lent is a time when we can be serious about reconciliation. And if we are serious about reconciliation then we must be serious about naming where there is alienation in our lives because that's where we're in need of reconciliation...We can be quite blind about ourselves. Listen to Mark Hart's podcast on this sunday's mass readings. An authentic call to follow Jesus in the way of Marianist spirituality always has two characteristics. The first, we have a desire to be formed in the virtues of Jesus and to have those virtues in our own life. The second characteristic of our call is the sense of mission. In taking on the virtues of Jesus, we also sense being called to work for the coming of God's Kingdom and to carry out in the world today the works of Christ. We want to become one with Jesus, living his own attitudes and dispositions. There is a sense of urgency that burned in the heart of Jesus. If solitude were primarily an escape from a busy job, and silence primarily an escape from a noisy milieu, they could easily become very self-centered forms of asceticism. But solitude and silence are for prayer. The Desert Fathers did not think of solitude as being alone, but as being alone with God. They did not think of silence as not speaking, but as listening to God. Solitude and silence are the context within which prayer is practiced. From Popes on down, silence has been valued. Pope Paul VI, on a pilgrimage to the Holy Land in 1964, visited Nazareth. His main teaching was on silence. May there return to us an appreciation of this stupendous and indispensable spiritual condition," Pope Paul said, "deafened as we are by so much tumult, so much noise, so many voices of our chaotic and frenzied modern life. 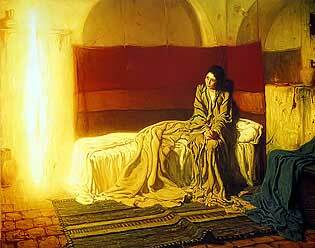 O silence of Nazareth, teach us the ... value of ... interior life, of secret prayer seen by God alone. silence and contemplation have a purpose: They serve, in the distractions of daily life, to preserve permanent union with God. That is their purpose, that union with God may always be present in our souls and may transform our entire being. Doesn't it feel feel normal to be unworthy in the presence of God. It is a healthy reaction, isn't it? Who among us, faced with the glory of God’s perfect love, would feel able to stand? The prophet Isaiah experienced that glory in a vision he had in the Temple at Jerusalem. He felt unworthy. Saint Peter experienced it in his encounter with Jesus. He felt sinful. They fell to their knees, dismayed by their poverty. That Peter and Isaiah responded similarly reminds us of something very important to the New Testament. God’s dwelling is not a religious building in a particular place: God’s dwelling is Jesus Christ. The glory experienced by Isaiah is hidden within Jesus. Our dealings with God, and God’s dealings with us, take place now through the body of Jesus Christ. It is because we have been made members of that body through baptism that we have access to the Father when we pray in the name of the Son. But Peter has not yet learned all this. For the moment all he knows is that the power of God is working through Jesus and he is not worthy to stand in its presence. Like Peter we are invited to ‘put out into the deep’, to be courageous and generous in our efforts at following Christ. We will fail often, and perhaps seriously, as Peter did. But we are in good company, for so many have walked this path before us, the path to our true identity: ‘by grace I am what I am’.